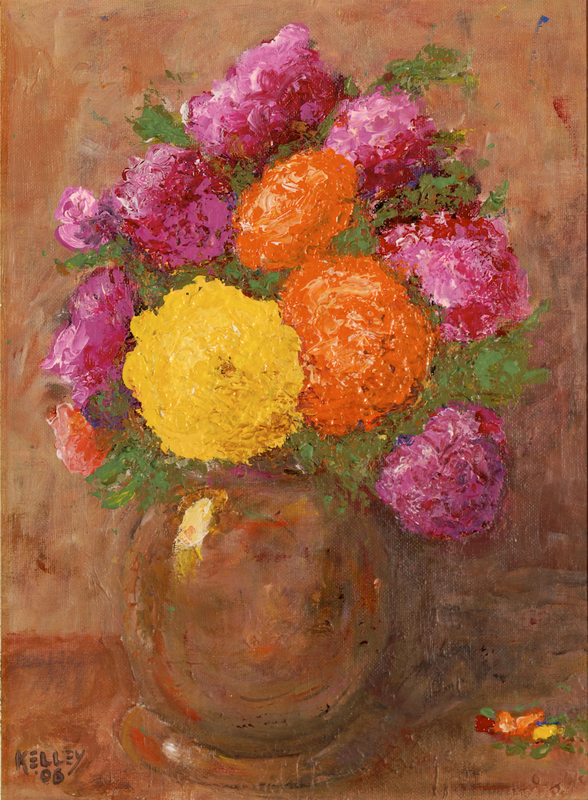 Cezanne entitled some of his florals by the color of the vases. Not a bad idea. This is bronze vase. The paint is applied very thickly in layers, almost sculpted. 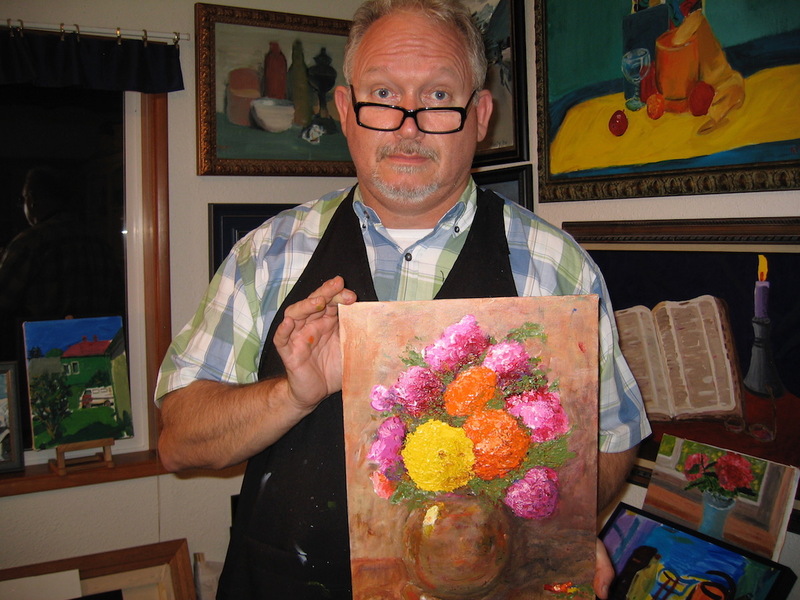 I created this in my Oregon home studio in 2006.